The first track off of the new Camille album (posted about this earlier, here) was officially released this week – in French-speaking countries only, of course. Grrrr! But I’ve managed to find it anyway. It’s short, it’s tasty, it’s promising. Time to catch up and bring you few recently released albums to your attention. First there is LouiZ , pseudonym of Kathalyne Detry, from the French speaking part of Belgium. She recently released an EP with 5 tracks, which is a bit “Cabaret”-like. As a teaser we bring you here “Le Royaume”, which is also the title of her EP. Another EP appeared from Delphine Coutant. 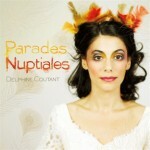 she already released three albums and this EP “Parades Nuptiales” is a teaser for her new album that will be released in the beginning of 2012, and to be honest I was pleasantly surprised. Very good songs, very complicated arrangements and a great voice. Looking forward to the album! OK, OK, I don’t mean THE Vanessa, but here we present to you another Vanessa: Vanessa Philippe. And, to be honest, it is a bit late for an introduction, because she just released her third (or second) album. It is called “La Fille Sans Qualités” (the Girl Without Qualities) and that is definitely not true. This album is inspired by a book with the same title, by Juli Zeh. 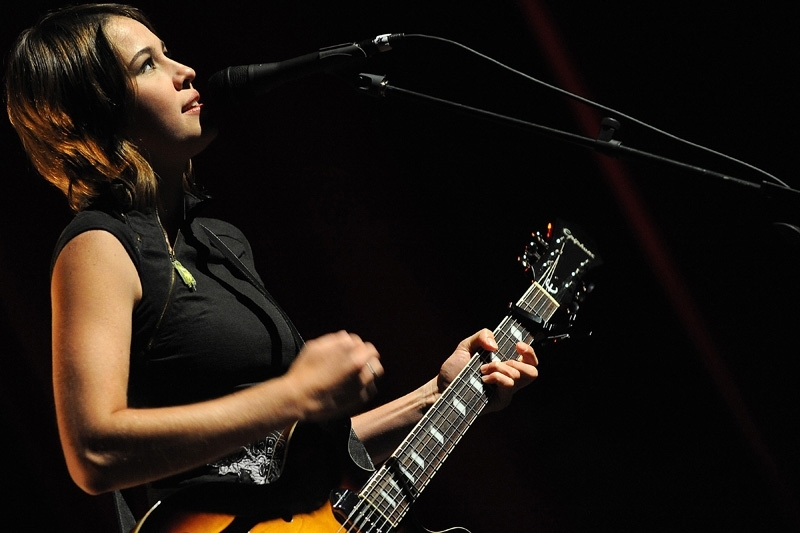 Vanessa has a very sweet voice, which she uses exactly as we like it here: sweet, tender and sultry in some songs too. You can see her too, here, with a song from her earlier album. 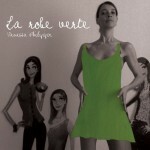 For you to listen to, we picked the first single of this new album: “La Robe Verte”. A Gainsbourg tribute featuring Beck, Lulu Gainsbourg, Sean Lennon and Mike Patton – if I wasn’t such a sweet, shy guy I definitely would’ve killed to be in the crowd at the Hollywood Bowl last Sunday evening. On Youtube, you can find a few excerpts. Like this one, and this one. Reviews here and here. A lot of very pretty pictures of Charlotte Kemp-Muhl, as I understand it one of the highlights of the evening, here. If you know of recordings of the evening (Beck singing Les sucettes! ), please let me know! As regular visitors of this blog know, Canada (Quebec) has A LOT to offer when it comes to gorgeous, very talented female singers. Coeur de Pirate, Marie Pierre Arthur, Catherine Major, Fanny Grosjean (of La Patere Rose, she will release a soloalbum! ), Amylie, this list could go on for a while. And now there’s Salomé LeClerc. FS-contributor Maks was already infatuated by her (see here), I can assure you that you will be too. 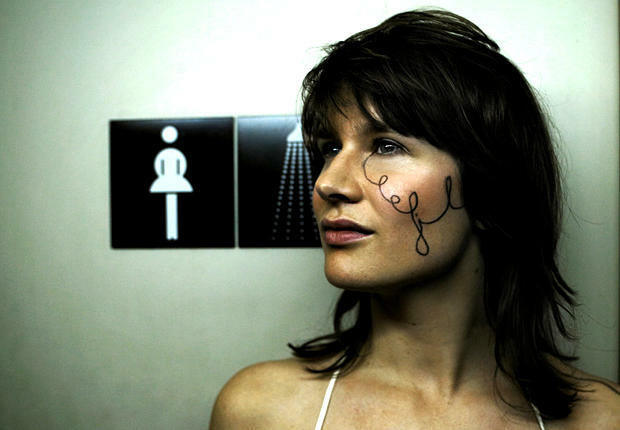 I’ve listened to a few tracks on her album (out September 6), it’s yearlist-material people. You must admit that first single Partir Ensemble looks and sounds very, very promising. More to come. Charlotte Gainsbourg fans are spoiled. First there was a new video, now a previously unreleased track. 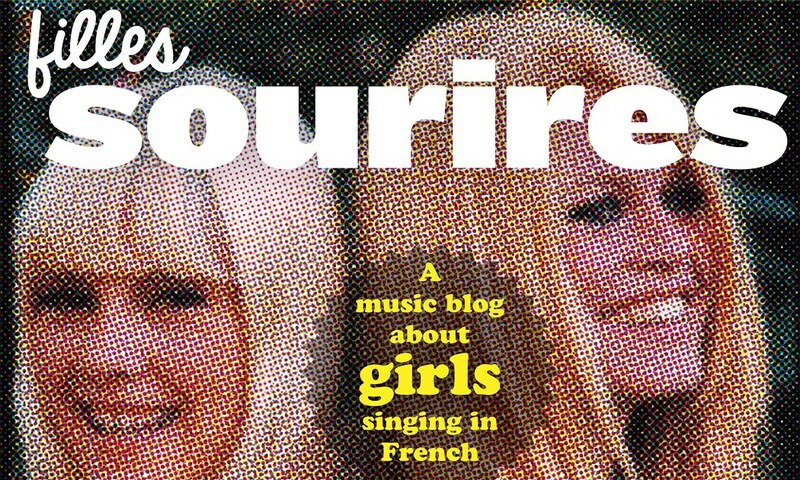 ‘White Telephone’, added to the dvd that’s enclosed with the French magazine Courrier International, is a beautiful track that sounds like a leftover from the 5.55 sessions. Various strings, a floating, Air-ish bassline, some fx, her husky voice. What a treat. VERY different from the new single (below). Mille fleurs to Antoine for sending me this track. – Claire Denamur’s album Vagabonde is out on September 19. 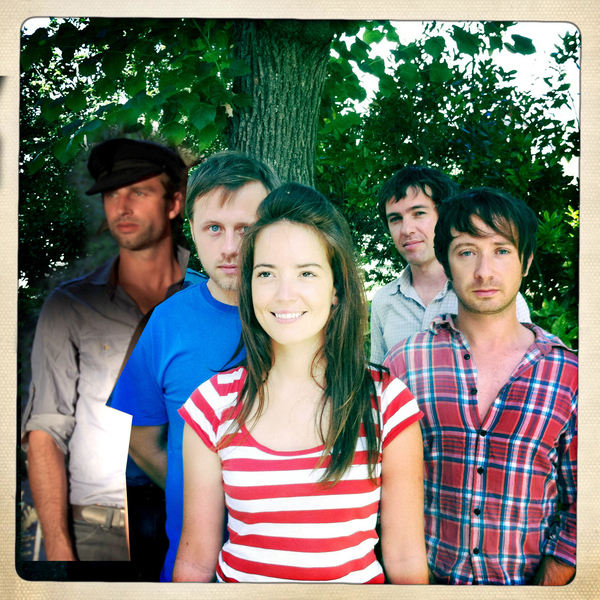 – Listen to an extrait of a new Camille song HERE. You have to ‘pay’ with a tweet or a posting on your Facebook-page. Good track, minimalistic, more in the Le Fil vein. Camille’s new album is out in October. – French magazine Courrier International will include a live-dvd plus a never released song by Charlotte Gainsbourg. The mag, only available in France, will be on sale August 25. Any help to get me this magazine is greatly appreciated. The live+inedits-cd Experiences Stage Whisper will be released in November. – In an interview with French music mag Serge, Chiara Mastroianni revelead that she and ex-husband Benjamin Biolay will probably record another duets-album als H.O.M.E. No release-date is set, but think years instead of months. 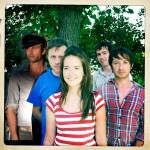 Pendentif is a quartet from Bordeaux, who invited Cindy Callede on their first single, Riviera. That song’s also on their debut-EP, released in May. Their stylo is sunny, inna Californian stylee, with strong guitar-melodies and early 80’s synths. Comparisons with Phoenix, The Shoes and The Bewitched Hands are understandable. I’m posting Riviera here, but Cindy also sings on the wonderfully titles God saves La France. 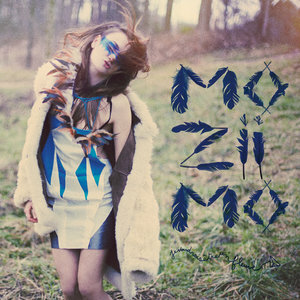 Moziimo‘s (‘avec un Z comme Zorro and deux I comme zizi’) real name is Mélodie Orru, and like Pendentif she likes to add synths and 80s references to her music. Hippie chic, music mag Serge called her. You’ll get the picture when you see, er, these pictures. She just released an EP with songs that refer to Camille (the minimal approach) and Jeanne Cherhal (in the more upbeat tracks, like ‘Je voudrais etre une fleuve‘. On ‘Viens dans mon chateau’, Arthur H is a duo-partner. The single Sour & Gold is in English. 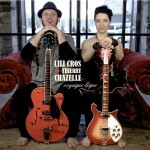 They worked together before, Lili Cros & Thierry Chazelle. In 2008 they made two seperate albums that looked the same from the outside and could be put together, and now there is their first “real’ album together, called “Voyager Léger“. 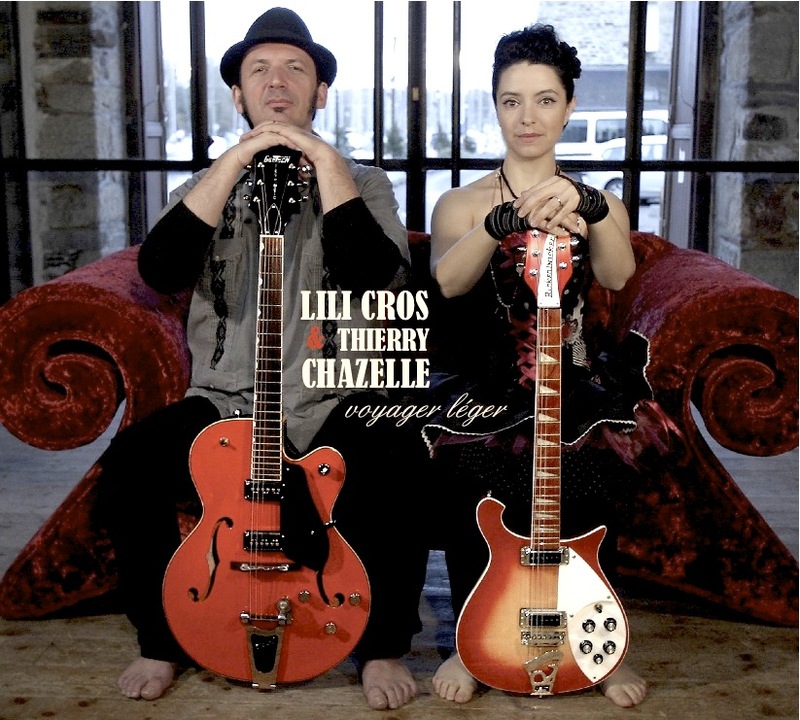 Their new collaboration led to a very pleasant album, with both Lili and Thierry solo, and some nice duets, all done in a sweet melodious, folky way. Texts and music are by Lili and Thierry. Lili Cros has a very nice voice which reminds me in some songs of Clarika. One of the nicest songs on the album is IMHO “A la Radio”. a song about listening to musique, so very suitable. BTW, they are funny too, as you can see here in the small “commercial” they made in their kitchen.